Enjoy a luxury charter flight to Lake Tahoe, one of the most beautiful vacation destinations in California. Private charter flights to South Lake Tahoe place you among luxurious ski resorts in Truckee, parks and beautiful landscapes surrounding the lake and Sierra Nevada Mountains, or a short trip away from Reno or Carson City in Nevada. Air Charter Advisors arranges on-demand air charter services around the world, connecting you the best private planes at the best price for flights to/from Lake Tahoe, CA. Our private air charter brokers offer instant to 10,000+ private planes located around the world, and a hassle-free, consultative booking process. Choose between luxury jet rentals for VIP travel, hospitality & special events; business jets for executive travel, corporate retreats, and more; charter a turboprop or light jet and fly private for a lakeside getaway with your family – book your next flight with Air Charter Advisors and experience the best jet charter service in the sky. 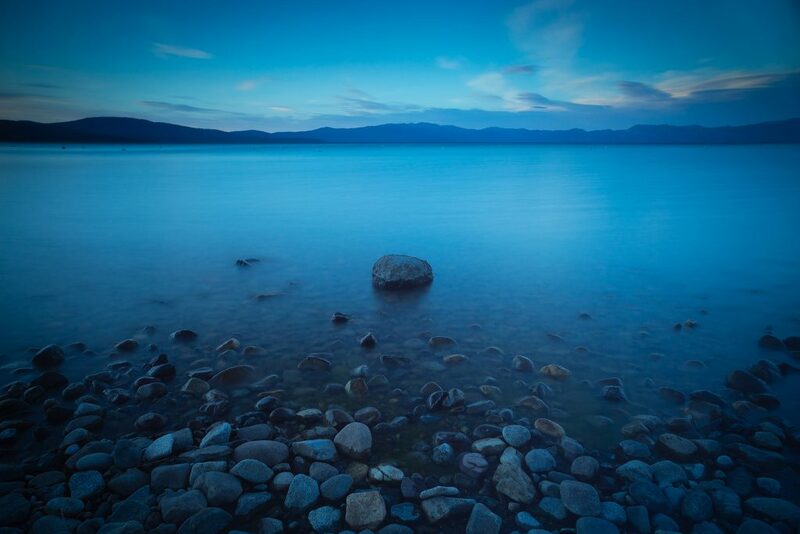 Our charter brokerage arranges charter flights to Lake Tahoe for clients across the country and around the world. you’ll enjoy access to private planes across our a global fleet of approved operators and air carriers, placing the best aircraft for your charter flight directly at your fingertips. Our experience in the charter market gives us an advantage most companies don’t have, freeing us from fleet limitations or catering to owners and operators. We locate the best planes for our client and offer the best deals for their flights. You avoid the hassles and waiting of flying commercial. You’ll also enjoy having a private aviation consultant ready to handle of your luxury air travel. Our brokers can arrange luxury concierge services to complement your private flight, and our aviation services include medical charter flights, air cargo services, large group charters, jet card programs, and private plane management/marketing/sales/leasing and more. Receiving a charter quote for aircraft rentals is easy — just choose the date & time of your flight, submit a request with details of your trip, and our brokers will offer you with the best planes available for your flight. Our jet charter services are available 24 hours a day, so call us at 1-888-987-5387 (JETS) or contact us via email to book your private charter flight to Lake Tahoe. Rent a private jet to Lake Tahoe and arrive using one of four main private jet airports serving the area. All four airports can accommodate large charter aircraft and offer FBO terminals, while Alpine County Airport is available for piston and turboprop charters, and individually owned light jets. Call ACA to review your options and decide which airport best suits your flight. Our jet charter services offer instant access to thousands of private planes for air charter service to/from Lake Tahoe. Choose from a variety of aircraft makes and models, including King Airs, Pipers, Cessnas, and Challengers, to Falcons, Hawkers, Globals, and Gulfstreams. We can also arrange regional airliners and VIP airliners group charters, special events, and corporate travel. Our systems allow us to view all of the planes across the charter market for your flight, and our Wyvern-certified safety standards give you peace of mind knowing you’re working with a company carrying some of the highest safety standards in aviation. Our free quotes allow you to compare us to the competition, to your current jet card hours, or to your fractional aircraft/individually owned plane. The knowledge and relationships we’ve built with air carriers across the country allows our brokers to offer you the best deal possible on your flight, including empty leg jets, one-way flights, multi-leg trips and more. Wyvern Wingman and ARGUS Platinum aircraft available. Visit our aircraft page for more details on all the planes available for private charter flights to Lake Tahoe, CA. Private jet charters are the most secure, comfortable, and luxurious way to arrive in Lake Tahoe, CA. One of the most popular vacation destinations year round for families along the Pacific and across the United States, your private flight can be arranged into a variety of airports, depending on which side you’re visiting. Most of the jet charter services we arrange arrive using Lake Tahoe Airport (FAA: TVL), located in South Lake Tahoe, CA just minutes from U.S. 50 for easy access to the southern, eastern and western shores. If you have a home or accommodations on the northern side, Truckee Tahoe Airport (FAA: TRK) is the ideal choice, with a runway large enough to accommodate heavy jets, and located only 14 miles north of the lake via N Shore Blvd. Private planes can also be chartered into Nevada for passengers flying to the western side. There are two airport options in Nevada located near the stateline, and within easy driving distance to the lake: both Minden-Tahoe Airport (FAA: MEV) and Carson Airport (FAA: CXP) offer private jet runways and FBOs, and Minden is located about a dozen nautical miles south of Carson. Whichever airport you choose to arrive at, we can complement your private jet charter Lake Tahoe with luxury concierge services, including ground transportation awaiting your arrival to transport you to the resort of your choice, and helicopter charters for fast and easy travel across the entire region. 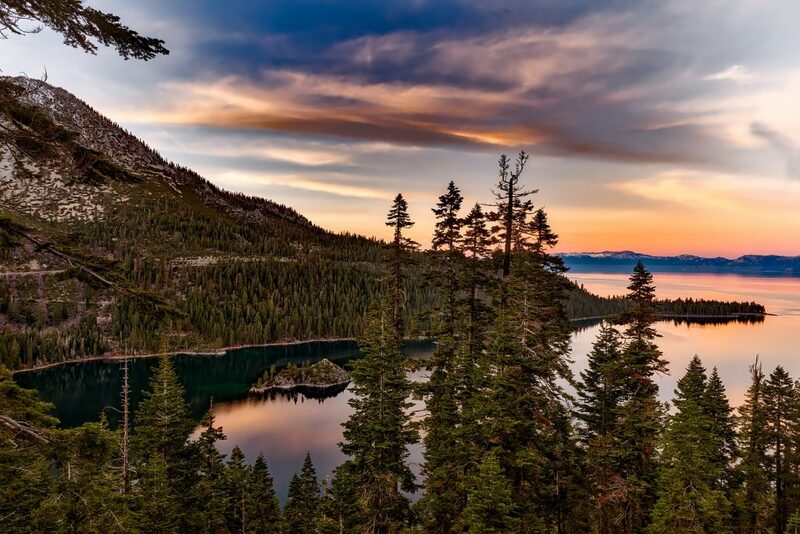 Home to winter sports, summers outdoors, shopping, fine dining, and scenic views throughout the year, Lake Tahoe is one of the most popular tourist destinations in both Nevada and California without all the lights. Winter sports in Tahoe became popular following the 1960 Winter Olympics, with events held at Squaw Valley. Today, during the peak of ski season, thousands of people from along the Pacific Coast and across the country flock to the slopes for downhill skiing. For as beautiful a day can be on the slopes, be aware that the area is well-known for its blizzards, too. On the Nevada side, you’ll also find an assortment of large casinos, and highways providing year-round access to the entire area. While its snow and ski resorts are play a large factor in the area’s tourism, the lake itself offers incredible boating, kayaking, biking, and other outdoor activities during the summer. You can rent a boat and enjoy a day on the water, with picturesque views of the surrounding Sierra Nevada Mountains and incredible landscapes in every direction. In addition to South Lake Tahoe, the most popular tourist spot, you can visit Tahoe City, Truckee, Tahoe Vista, Homewood, Incline Village, Kings Beach, and Crystal Bay. Many affluent families and luxury travelers have second homes in Tahoe. Booking a one way flight is the most economical way for summer home owners to fly private, with the potential for huge savings by using an empty leg plane in your area. The best time to visit depends on what you’re planning to do during your stay: if you’re looking to enjoy the ski resorts during the winter seasons, the best times for your flight are between December and May, although you’ll need to book your accommodations well in advance. If you want your toes in the sand, July and August offer the best beach weather, albeit you’ll be surrounded by crowds and umbrellas. Want to visit during a quieter time of the year? The months between March and May and from September to November offer the best of both worlds, without all the congestion on the roads, resorts, mountains, and airports. Our aviation services allow you to charter a private plane into one of five airports located within 40 nautical miles. Discuss the options with one of our brokers to determine the best choice for your flight, including large jet arrivals in Reno, NV, complete with a private FBO terminal. Request a free charter quote or call us at 1-888-987-5387 (JETS) to speak with our brokers and arrange the perfect flight to Lake Tahoe with direct access to our global network of private charter planes, and luxury concierge services to complement your trip.